Great Lakes Dental Care offers patients numerous options for improving the look and feel of their teeth and smile using state-of-the-art cosmetic dentistry services. 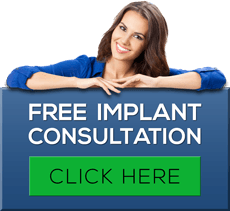 Most of these procedures can be performed right in our Grand Rapids dental office for your convenience. Nothing is more frustrating than trying to hold back a smile because you don’t want others to see your stained or discolored teeth. Fortunately, today’s advanced cosmetic dentistry techniques provide you with several options for brightening your smile, including teeth whitening, veneers and bonding. 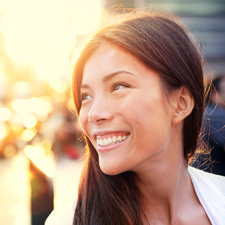 Wouldn’t you like to boost your personal image and confidence with brighter, straighter and whiter teeth? Our knowledgable and professional team will take the time to help you decide which of the options below are best for your specific issue. Teeth whitening reigns as one of the most popular cosmetic procedures used to make teeth whiter and brighter, and therefore more attractive. Bleaching can also be used to whiten stained and discolored teeth, or simply to enhance a dull smile. Either way, teeth whitening is a safe and relatively painless procedure that is ideal for most patients. There are several teeth whitening options available that can remove or reduce the signs of brown and yellow staining. The most effective teeth whitening procedures are available through your Grand Rapids cosmetic dentist. Our Grand Rapids dentists can explain the pros and cons of each treatment available and determine the best teeth whitening alternative for you based on the severity of your staining. Veneers are a widely used cosmetic dental procedure in which our Grand Rapids dentists place a covering over the outside (visible area) of the tooth. Veneers are usually only applied to teeth that will be visible when a patient is talking or smiling. Veneers are a viable option if your teeth are chipped, stained or gapped, or if the enamel on your teeth are badly worn or if your teeth not properly aligned? Our Grand Rapids dentists can provide excellent cosmetic dentistry services and smile enhancement through the application of dental veneers. Bonding involves adhering composite resin material — matched to the color of the tooth — to the front of the tooth. This may be done to repair damage caused by decay, to alter a tooth’s alignment, to close gaps between teeth or for cosmetic purposes. The initial step involves one of our dental professionals rubbing your tooth to roughen it’s surface and make it more likely to hold the bond. A gel is then applied to micro etch the tooth surface, and a primer or bonding agent is added to help the material to adhere to the surface. The material is then placed on the tooth and hardened with intense light. Finally, the composite resin material is shaped and polished to create a lustrous finish. For additional information on our expansive cosmetic dental services please contact us today to schedule an appointment, or call us at 616.784.6300.